1. 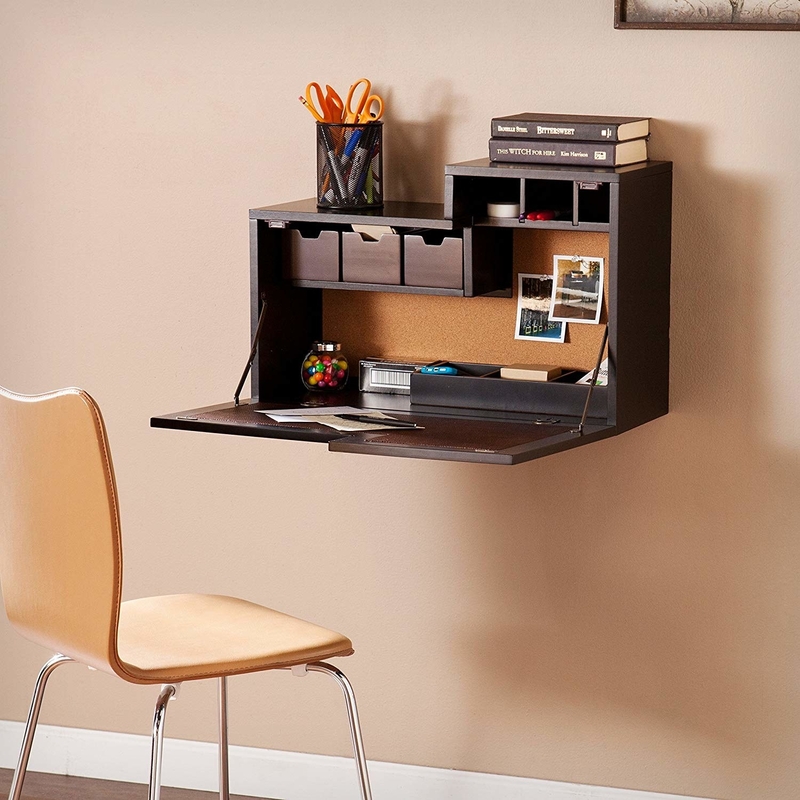 A murphy desk for anyone with work to do but not a lot of space to do it in. 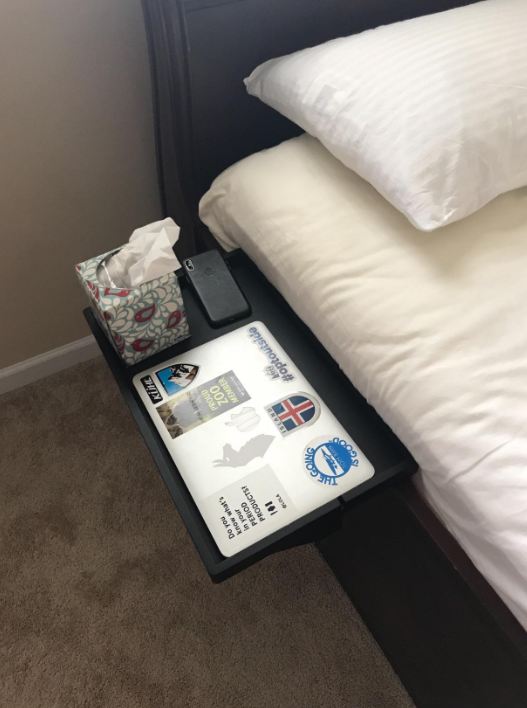 This desk folds out and and back up so you can keep things stored inside and out of the way when you're not using them. 2. 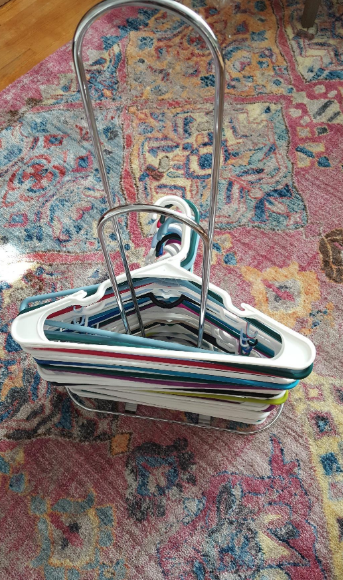 A hanger stacker to fix one of the most annoying storage problems in history. This before and after alone has already changed me for the better! 3. A leaning ladder rack, because when there is no more real estate you have to start building upwards. This is a very chic way of keeping your clothes, blankets, and towels off the floor. 4. A rounded night stand with a nifty built-in basket for easy-to-grab storage right where you need it. 5. Or go for a square and bright two-tier side table perfect for displaying your favorite bedroom items and storing away the ones you don't want out and about! 6. 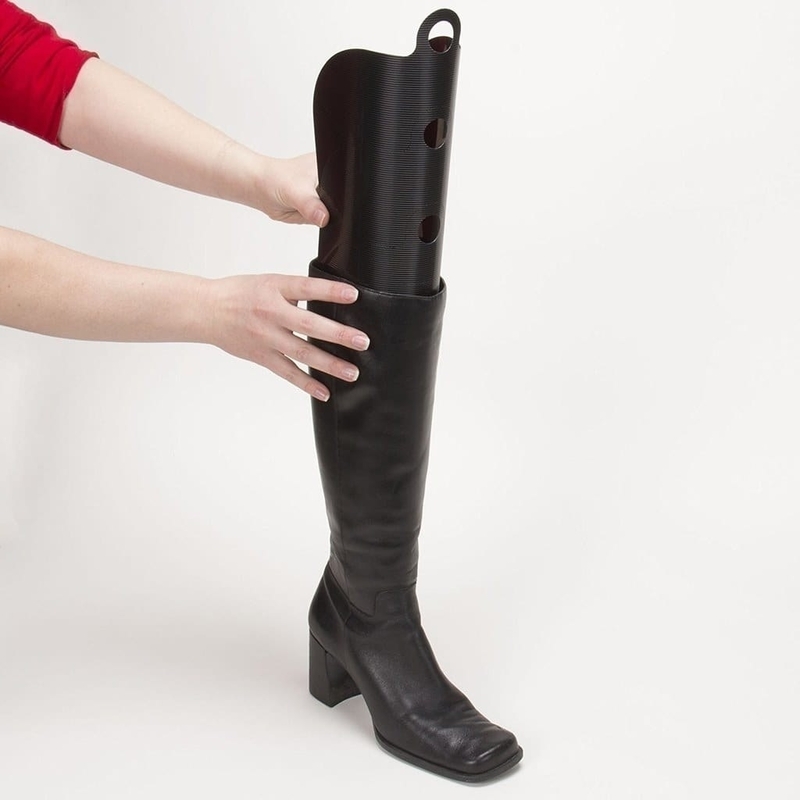 A shaper insert so your boots stand tall (to prevent creasing and to create more space on your closet floor). 7. 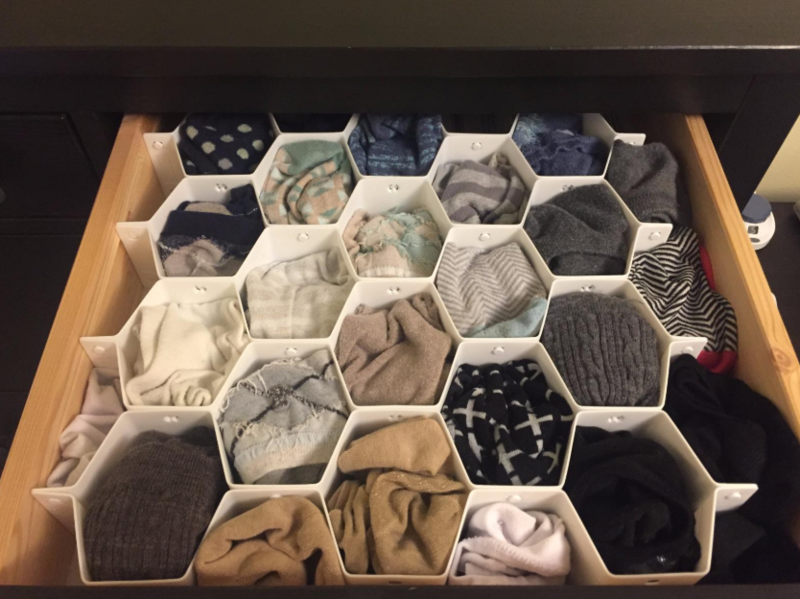 A durable honeycomb drawer insert to form a home for your socks, scarves, ties, undies, etc. No more digging for a matching pair. 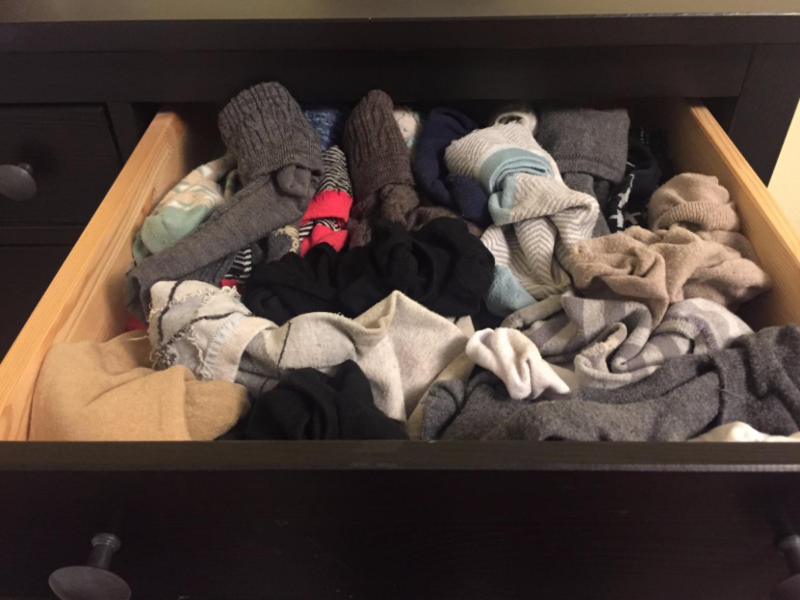 Marie Kondo is shook! 8. A pack of 12 clear storage boxes great for keeping seasonal clothes or tchotchkes under the bed. 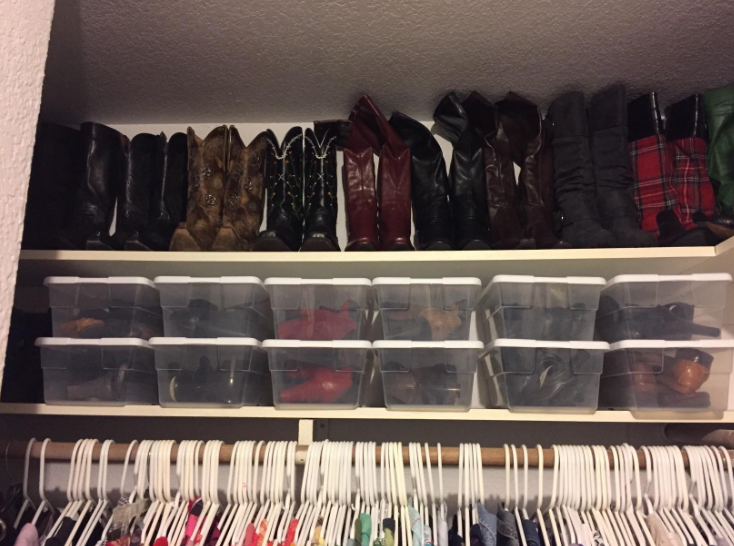 They are also an ideal size for keeping pairs of shoes organized and up on a shelf so you can see what you have. 9. A double closet rod so your little ones can actually reach their clothes in the morning. Don't share a closet with kids? 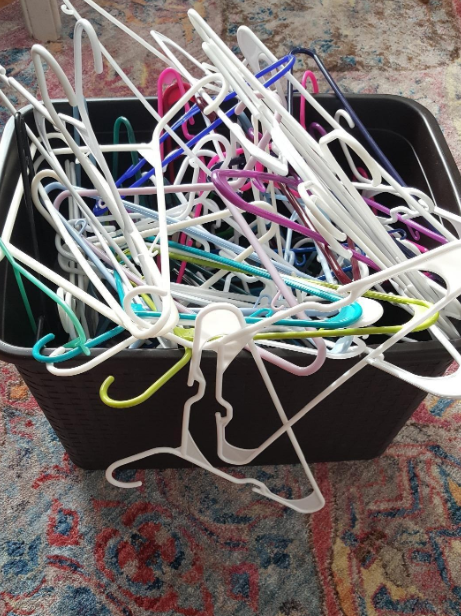 Get TWICE as much hanging space for your clothes! Just hang it from the top rod, no installation required. 10. A set of three collapsible bins to have on hand for when you need extra storage ASAP. They easily collapse and store away themselves when you don't need them. Win-win! 11. A laundry basket with a built-in divider for storing your lights and your darks (or clean and dirty) in separate bins. Laundry day just got a whole lot simpler. 12. A shoe rack bench to keep the shoes you wear most out of the way but ready to go when you need them! Guys, I think I found my furniture solemate. 13. A headboard with built-in shelves for anyone who doesn't have space for a bedside table or other shelving units. 14. A four-tier corner wall shelf — it's a tierific way to use the space you do have in your room to your advantage. 16. 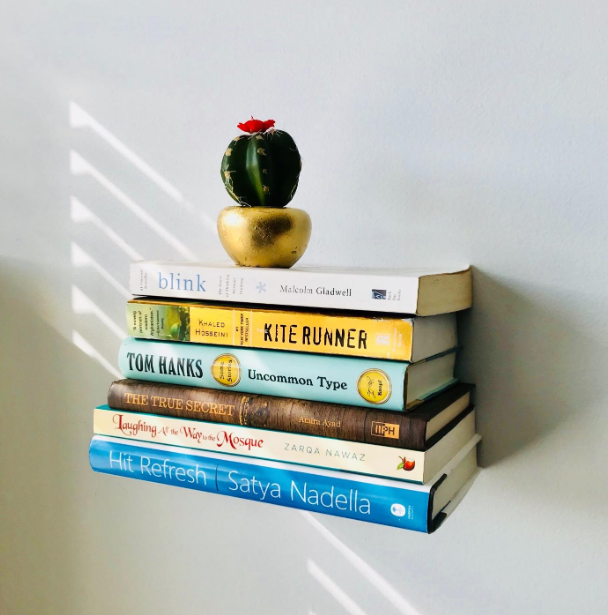 A floating bookshelf (or three) to free up space and make perfect use of that large white wall that's been empty and begging for a fresh look! 17. 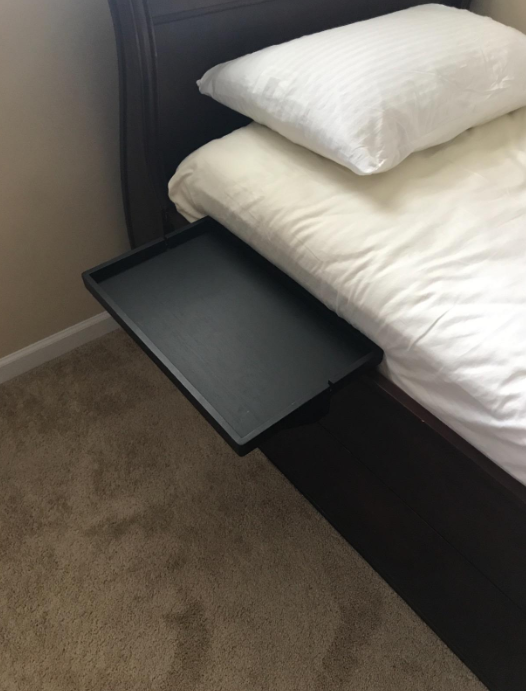 An eight-cell under-the-bed storage solution for your seasonal shoes! It hurts my sole seeing shoes pilled up in the back of people's closets. 18. A bed that'll lift up with ease to reveal the storage space you've been dreaming of. Holy sheet; that's a lot of room! 19. A clothing and shoe rack for anyone needing a solution for a small or non-existent closet. 20. A six-pack of space-saving vacuum bags that'll turn the closet you pretend doesn't exist into the closet you can actually use again. Having trouble with storage space? Don't worry, we got this in the bag. 21. 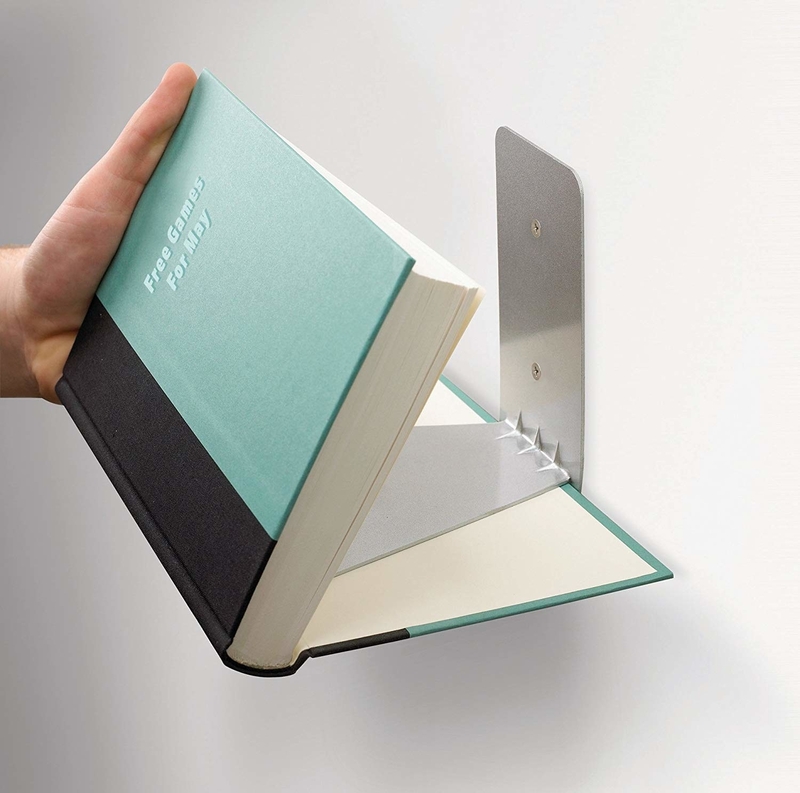 A bedside shelf so all of your bed-related needs are only an arm's reach away! Need a tissue? Not an issue! 22. An acrylic jewelry and makeup storage display that'll free up so much surface space in your bedroom. 23. A modular cubby unit made up of rearrangeable blocks so you can create the design that works best for your space. Adult Legos! 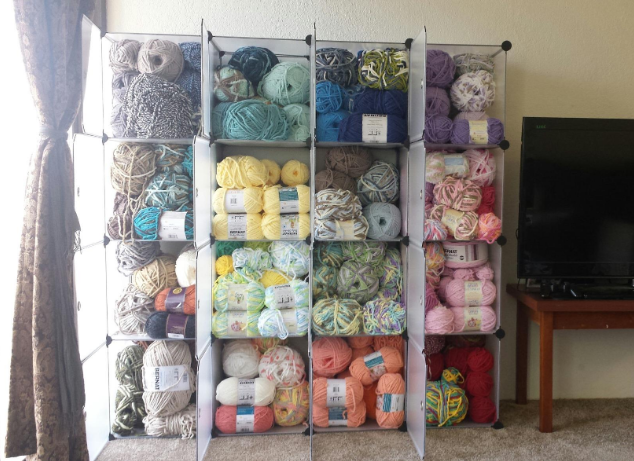 Promising review: "I have the 20 cube modular shelving by Langria. This shelving is incredibly versatile. 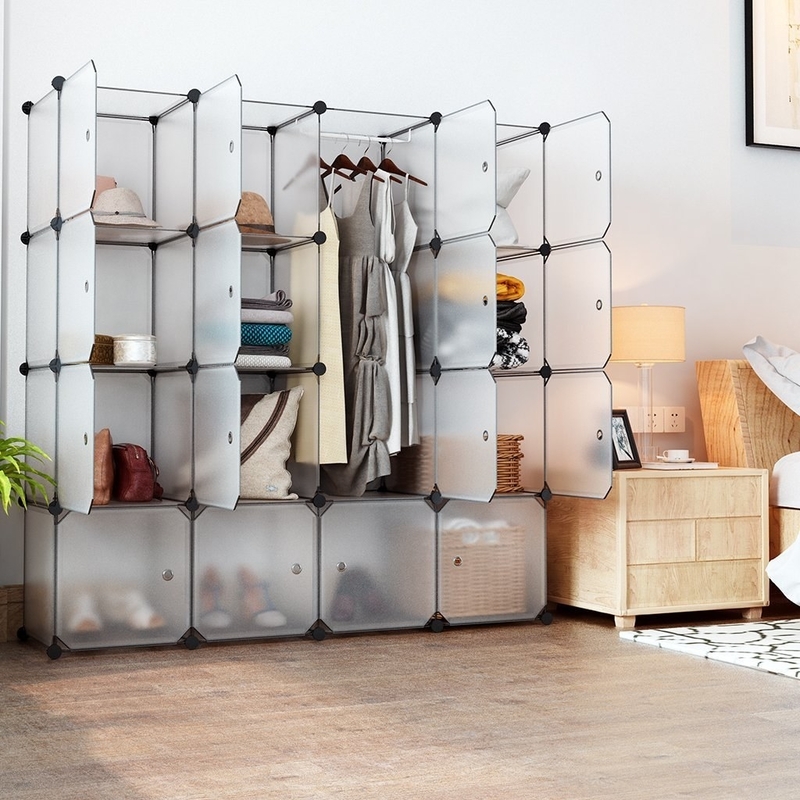 It can be used for storage shelving, a mini-closet, and as a room divider. 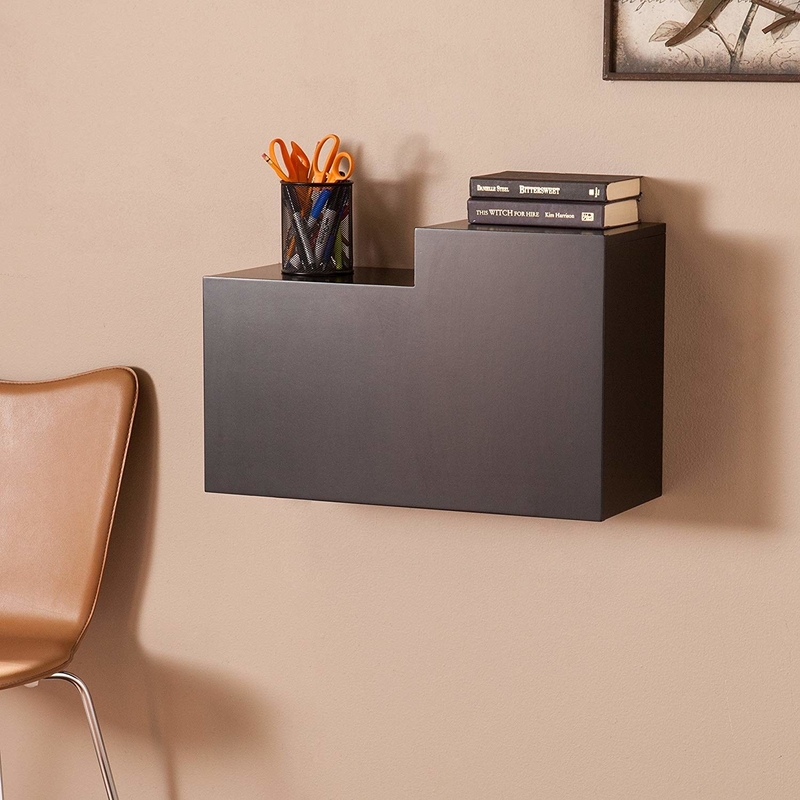 It’s a sturdy shelving unit with an infinite amount of ways that it can be put together. It’s strong enough that you can leave out a couple of panels and it will still stay together. The connectors are very strong and you have to use some pushing and pulling to connect and reconnect them." —Wendy L.
24. 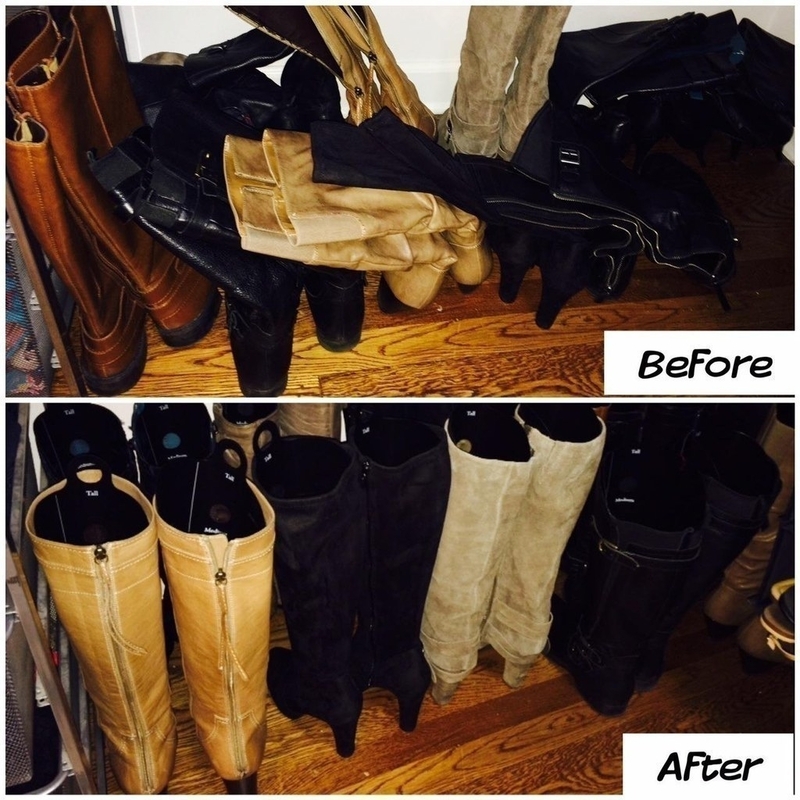 A door hanging shoe organizer that will make great use of the space behind your door. Knock, knock. Who's there? Storage solutions at a great price. 25. 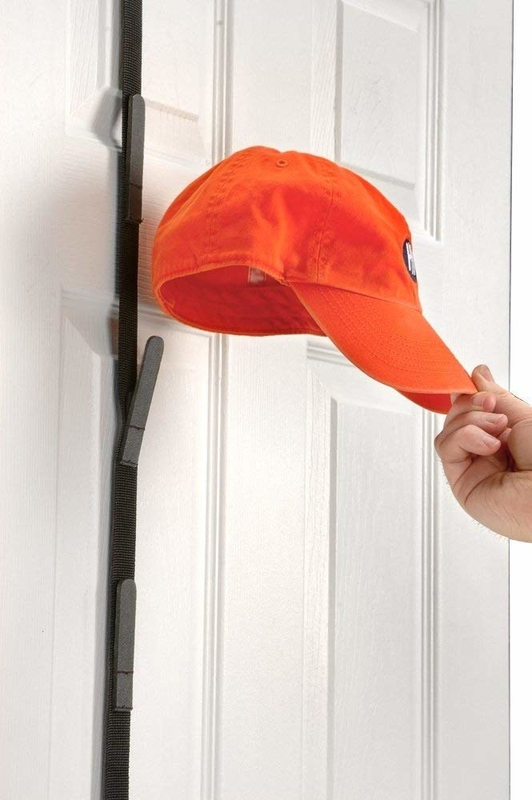 Or if you're more of a cap person, a door hanging hat rack to make the most use of an empty space. 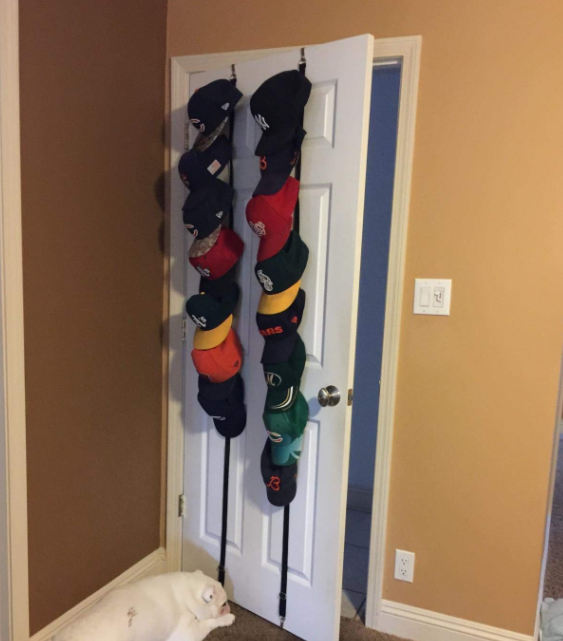 Hats off to you for finally organizing your favorite accessory. 26. 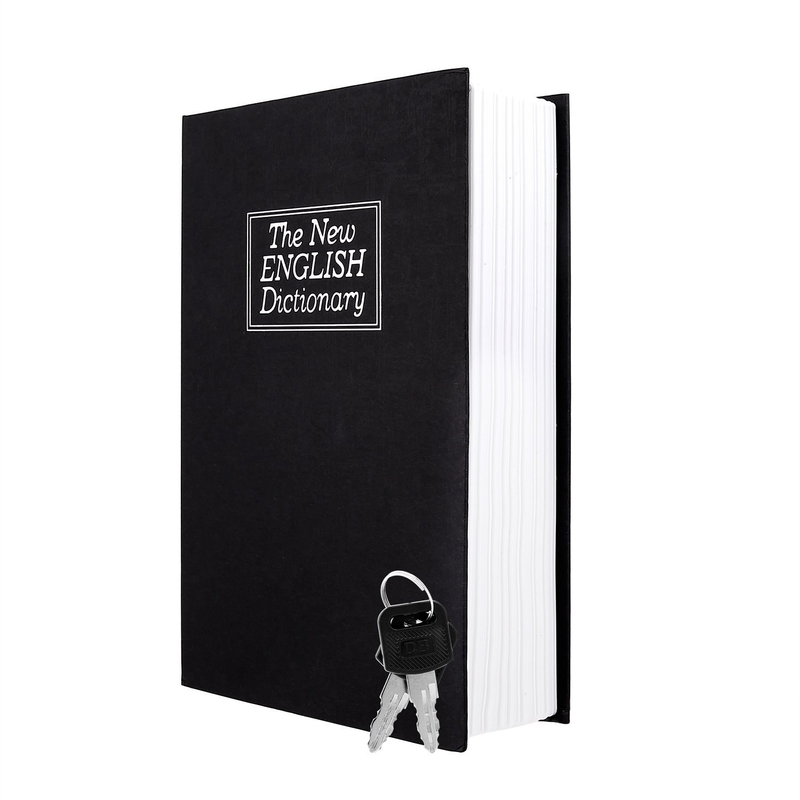 A "dictionary" that's really a safe for your valuables. How do you spell incognito again? 27. A square tufted storage ottoman that'll have you saying, "ottoMAN I'm saving so much space!" The OG queen of storage. 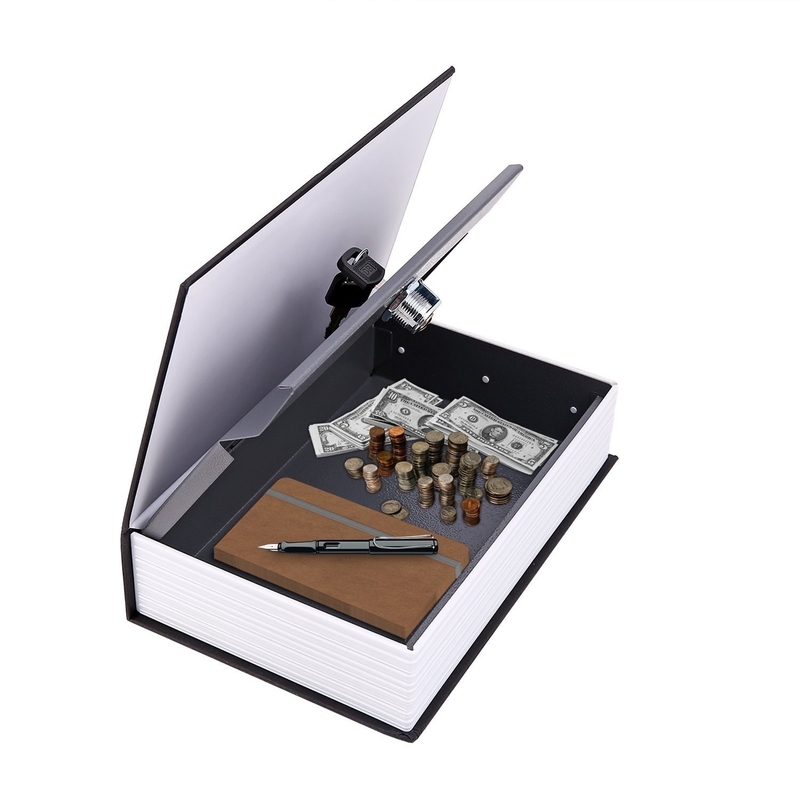 Want to see more products that'll help you stay organized? Check out these posts!